I picked up a Vortex Strikefire 2 for $180 and my initial impression is that it is a quality site that is robust. The Vortex Strkefire 2, which is modeled after the Aimpoint Pro, has a red and green 4 MOA dot, night vision brightness settings, 30mm one piece tube, a co-witness cantilever mount, is waterproof, and has flip up scope covers. Vortex has made some improvements over the original Strikeforce by moving the controls to the front of the site preventing accidental activation, improving the lens caps so they do not easily pop open, and an auto power shutdown after 6 hours to prevent the batteries from draining. Comparing the Vortex Strikefire 2 with my Aimpoint Pro side by side I found that there isn’t that much difference in between the two at shorter distances. Using both sights mounted on a Sig Sauer M400 I had similiar results out to 200 yds. At 300 yds plus is when the 4 moa dot on the Strikefire 2 was at a disadvantage and I started losing my rounds on the paper targets. 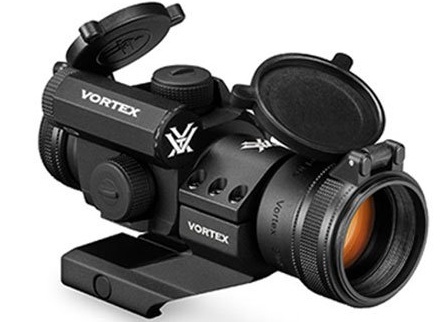 Adding the Vortex VMX-3T flip mount magnifier would have probably helped out a great deal. After the trip to the range I knew my limitations with the sight. All things considered the Strikefire 2 is a very good site for the money and is a low cost alternative to the Aimpoint Pro as the price difference between the two is about $240. 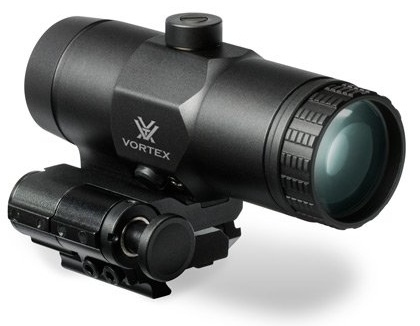 With the additional savings you can get a Vortex VMX-3T flip mount magnifier for a $160 and increase your optics range. If you want a competitor that can hold it’s own and stand up right along side those military grade optics for a cheaper price, Vortex is your best bet. I now have decided that the Strikefire 2 is my “go to” red dot optic. At this time I have these optics on 3 different firearms and every one is truly awesome. One of the best features of this optic is the red/green dot option. While shooting in daylight, around all the trees, I have found that the red is really the right color to use. When it gets a bit darker or if you are around anything other than tree leaves the green is your best bet. Then again, you must take into account that I am color blind to some degree. 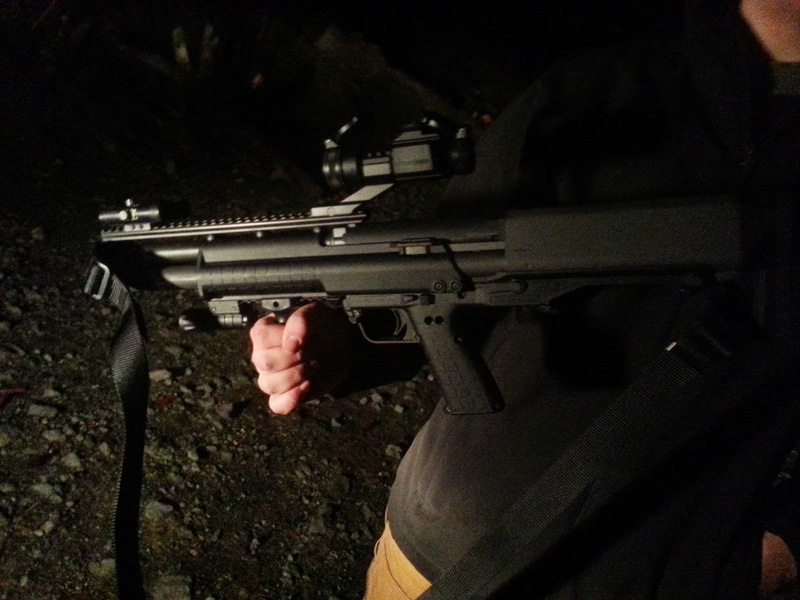 This entry was posted in Miscellaneous and tagged Aimpoint Pro, Red Dot Sight, Vortex Magnifier, Vortex Strikefire, Vortex Strikefire 2 on January 14, 2015 by GunGuy.